What Causes Fungal Infection In Children? How Treat Fungal Infections In Children? How To Prevent Fungal Infections In Children? Do you often feel worried that your child might contract a bacterial or a fungal infection? And do you wonder how you can prevent that from happening? Infections are common in children, and most of them are not very serious. Unlike adults and teenagers, children and babies are susceptible to seasonal infections all round the year. But still, they need to be treated, right? So how can you identify an infection in your child? And what steps can you take to treat and prevent it from occurring again? This post answers all those questions. Read on. Children are prone to various infections. No matter how clean you maintain your home, due to the environment and the inherent nature of germs, they tend to attract bacteria very soon. Hence, it is essential for you to keep your children safe from all kinds of bacterial infections as they might not have a strong immune system every time to resist infections. The bacterial infections can occur in various ways. Cold: Cold in children is usually accompanied by runny nose and fever with a high temperature. Infections In Respiratory Tract: This infection would cause coughing in children and would produce phlegm in a dark color (sputum). 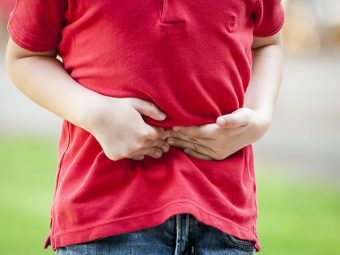 Infections In Intestines: Bacterial infection in the intestines can trigger diarrhea and vomiting when the bacteria enter the digestive tract of your children. Infections In Urinary tract: This is a common infection in small girls and boys, which might lead to kidney damage if not treated. Meningitis: Infants who have a weak immune system are prone to meningitis. This is a fatal condition in children, which can be fatal when not diagnosed early. Sepsis: Sepsis is caused when there is already an untreated infection prevailing in your child’s body. If this infection gets severe, it can lead to death, so timely intervention is vital. Now that you have known what causes bacterial infections in children, lets see what are its associative symptoms. 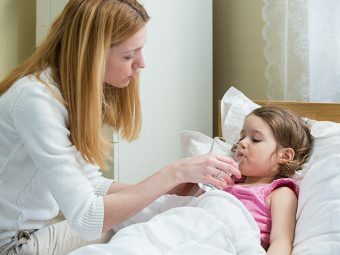 If your child has a bacterial infection, make sure that you remember a few symptoms, which can be highly helpful for you to diagnose your child at an early stage. Rise In Body Temperature: If the body temperature of your child is very high i.e. more than 101 degrees and if the fever prevails for more than 2 days. Extended Period Of Sickness: If your kid has a fever or a cold for more than 5 days, then it is a cause of concern. Loss Of Appetite: If a bacterium infects your child, then he / she might tend to show aversion towards food or will refuse to eat more. Altered Toilet Habits: Not urinating frequently or passing stools very often. Sleepy Or Lethargic: Your child would behave in a lethargic manner by avoiding playing with siblings or would like to sleep for long hours or just lie on the bed for a long time. Bacterial infection can be a serious issue for your child, if not offered treatment at the right time. You can prevent bacterial infection in children by following few simple tips. Make sure that you make your child wash his hands well with soap and water after using the bathroom and before eating. Keep a hand sanitizer in your child’s school bag and ask your child to use it before having lunch. If your child has an open wound, then make sure that you treat it with an antiseptic soap and water. Educate your child to cover the mouth while he coughing or sneezing. When your child is sick, make him take rest for two days by skipping school, if possible. How To Identify A Fungal Infection In Your Children? Your children’s skin gets attacked by fungi. The outer layer of your child’s skin or scalp gets attacked. 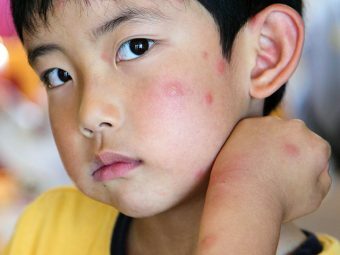 These infections grown on moist, dark, warm and unclean areas of your child’s skin. These infections are quite contagious, hence your child may pick up a fungal infection from other infected persons too. Since children love sharing and playing together, your child may pick up fungal infections from a friend, or anybody else for that matter. Wearing moist socks and shoes, bathing in public showers and pools can also cause fungal infections. If your child has got fungal infection, do not panic. If treated on time, fungal infections can readily be cured in children. Take your child to the doctor immediately. 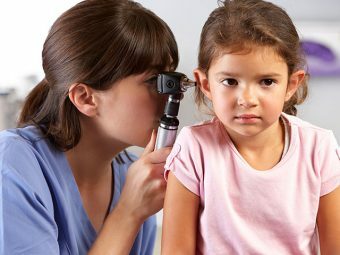 After examining your child, the doctor will prescribe treatment depending on the kind of infection. 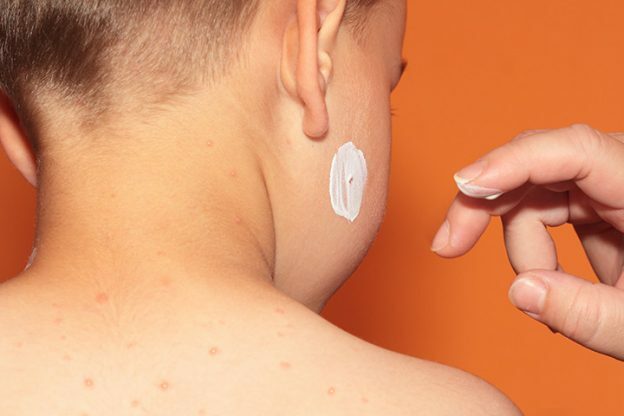 Your doctor may prescribe creams, shampoos or even lotions to topically treat your child’s fungal infection. Many a time, he may also prescribe few oral medicines to treat the infection at the earliest. Discourage your child from sharing his personal items, like hats and combs, with others. Make sure your pet is free from infection. If you suspect your pet to have an infection, have him examined by a Vet. Make sure your child always wears shoes to public places. If your child plays in the soil, ensure that he/she thoroughly washes hands or takes a bath afterwards. Ensure to wash your child’s feet every day. Make sure you pat dry your child’s feet with a towel after every shower. Take special care of your child’s personal hygiene. Inculcate the same habit in your child. Make your child wear dry and fresh pair of socks everyday. Ensure that your child wears slippers while walking around in public showers, pools and even locker rooms. Use a powder (medicated) to reduce the sweating on your child’s feet. If your child wears diapers, make sure you use the ones that are super-absorbent in nature. Make sure your child wears cotton undies. Dress your child in loose cotton clothing to facilitate ventilation. These are some of the basic ways of preventing fungal infections in your child. Young children do not have very strong immunity. This makes them easily prone to infections. So, take special care of your child. Take special care of your child’s hygiene and teach your child the same. Prevention has always been the best cure. But if your child still catches fungal infections, do not panic.Fungal infection in kids are pretty common and are not very serious among st children. We hope that the information we have compiled on bacterial and fungal infections in children was useful for you. Make sure you keep an eye for these symptoms and seek your doctor’s advice immediately. Do give your feedback in the comments section below. We would love to hear from you!